Simplistic lines and chic colors come together to create this splendidly striped bed. 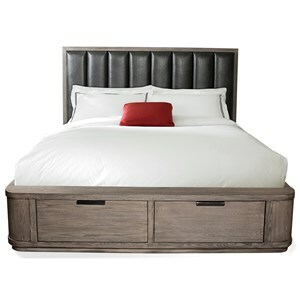 Crafted with a low profile footboard, this bed delivers focus to refresh and revitalize your bedroom. 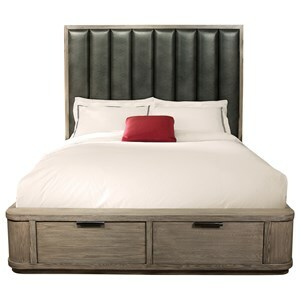 The headboard is cushioned with foam for a comforting back rest while soft upholstery pairs perfectly for a smooth touch finish. 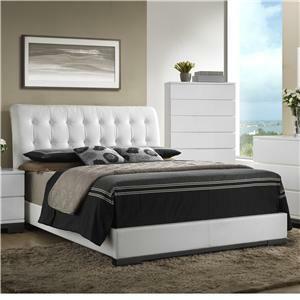 Sleek and stylish, this striped bed will transform your room with its sophisticated linear lines. 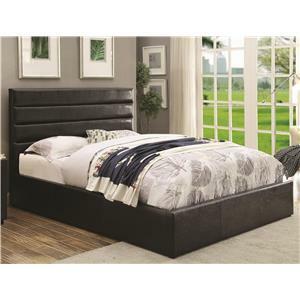 The Hassaleh Contemporary Upholstered Low Profile Queen Bed by Furniture of America at Rooms for Less in the Columbus, Reynoldsburg, Upper Arlington, Westerville Ohio area. Product availability may vary. Contact us for the most current availability on this product.